If you’re converting a loft space or you simply want more light in your home then drop us a line right away. 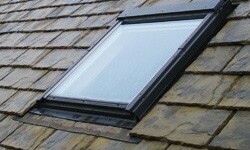 Our company was established in 2001 and we’ve been installing Velux windows since day one. As one of the city’s premier installers, you can have total faith in us when we fit your Velux windows. We know there’s a lot of choice when you’re trying to decide who you’d like to install roof windows in your home. We’re proud to say that we’re a local firm that believes in providing fair pricing to all our customers in Nottingham. Speak to us about your Velux windows: 0115 815 7004. We take our safety responsibilities seriously, so we’ll take care of you and your home while we’re installing your Velux windows. We’re a company that puts the customer first. To find out more about our full range of roof window services, drop us a line. The process starts off with a totally free, no-ties quote for you. Just get in touch!